If in the past you had to pay your web designer each time you needed to add new content on the website, I assume that waiting time until the site was updated and the involved costs were frustrating. Thanks to WordPress, you don’t need any coding knowledge, so you can manage the content yourself. 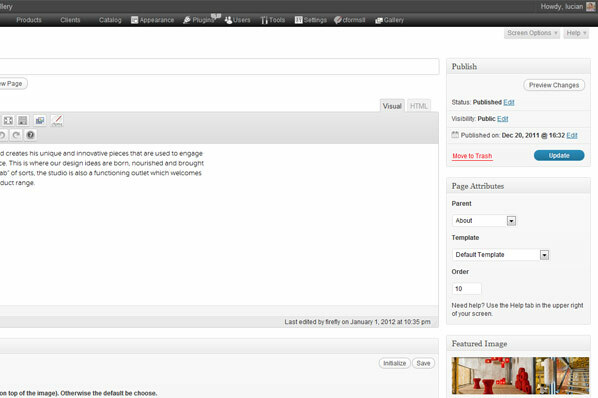 Adding new pages, text, navigation links, images, galleries, even videos is super easy now from a control panel back-end. I always tell my clients that if they can work with Microsoft Word, they can manage their site. It takes only 1-2 hours to get used with everything. WordPress not only allows non-technical users easily manage their content easily but also has great SEO advantages, which means potential customers can find you easier in Google. Installing few SEO plugins will enhance your visibility in Search Engines and that way you don’t need to pay a SEO company hundreds or thousands of dollars for a “Basic Setup Fee”. You’ll still need professional help for more advanced work but this will definitively get you started. Yoast WordPress SEO. Custom titles and descriptions. All in One SEO Pack. Similar and can be used instead of the above. Google XML Sitemaps. Will help Search Engines index your blog better and faster. Scribe SEO. 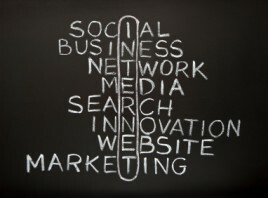 Analyzes your content and suggest what you can improve. WordPress is a tool that you don’t have to pay for. Virtually you can get a WordPress site for free. That’s if you don’t need a custom design and / or functionality, where you’ll need the help of a web designer. Open source means that general public has access and rights to modify it. WordPress is being constantly improved and developed by volunteering developers and is not likely to go anywhere for a long time. It also has thousands of free plugins that can let you build almost anything with it. Expression Engine is a $300 Premium CMS ideal for large sites. Content is harder and takes longer to manage, but is super flexible and powerfull. Concrete5 is a nice robust content management system. Free in the beginning you get to pay along the way for its add-ons. Can get quite costly. Silverstripe is dedicated CMS. It probably manages content better than WordPress but back-end interface is not as user friendly so clients still love WordPress more. While WordPress is not perfect and not suited for every site, the ease of content management, large variety of plugins, simplicity of upgrading and the fact that is free, makes it the most popular choice nowadays for both clients and developers. Really, if there are millions using it, there is a good reason why they do: everyone loves it!